The first day of school may be weeks away, but it’s never too early to start thinking about getting your child in the right mental and physical condition for learning. And while your child may seem particularly healthy after a summer of running around and playing in the sun, a physical can be a great opportunity to identify any undetected problems and make sure that their development is on track. Many parents assume that a “back to school” physical is only necessary for kids with chronic health problems, but this couldn’t be further from the truth. A doctor’s office is a safe place to discuss issues like bullying, drinking, smoking, drugs, sexual activity, and depression – any and all of which can greatly affect a child’s health. It’s important to have these more in-depth check-ins than the usual sports physical. What does a routine physical involve? The standard physical exam involves an assessment of hearing, eyesight, throat, lung, and abdomen health. For older children and teenagers, it will also usually include a personal discussion on social issues and any potential anxieties or stressors, particularly bullying and sexual activity. You may be asked how long your child spends watching TV at home, what their diet consists of, and whether they partake in regular exercise. It is imperative that you answer these questions honestly. For kids 14 and up, the doctor will often ask the parents to leave the room so that the patient can feel comfortable giving candid answers to personal questions. How should we prepare for the appointment? 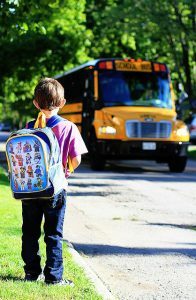 There is no real preparation needed for a routine “back to school” physical besides making sure that your child is clean and dressed appropriately for an appointment with the doctor. For example, wearing a loose shirt and simple, easy-to-remove shoes is important because these garments will likely have to be taken off for physical measurements and checks. In regards to older children and teenagers, please think about and get comfortable with the idea of the doctor asking you to step out of the room during a personal discussion. It can be difficult knowing that you are missing out on information about your child, but if it means that they are more likely to open up, you are advised to cooperate for the emotional health of your teenager.